Hangzhou Xingchen 3B Dental Instrument & Material Co., Ltd. ,established in 1999, is one of the leading manufacturers with advanced technology and excellent service in China. Products mainly cover SL Brackets, Ceramic Brackets, Conventional Metal Brackets, Buccal Tubes, Molar Bands and related Accessories and Instruments. 3B has CE, FDA, ISO13485 and a is highly recognized supplier for orthodontic products. Due to the High Quality Products, Professional Service and Continuous Innovation, 3B grows hand in hand with our customers. 3M Oral Care promotes lifelong oral wellness for patients by providing inspired, science-based solutions that help orthodontic professionals achieve greater clinical, professional and personal success. A worldwide leader in aesthetic solutions, 3M Oral Care products feature efficiency and an improved treatment experience for orthodontists and their patients. 3M Oral Care offers best-in-class products and services designed to improve patients’ oral care while providing orthodontic professionals predictability and control. Featuring a full range of products from traditional to leading-edge digital support, 3M products include award-winning Clarity™, APC™, Incognito™ and Victory Series™ brands. Learn more at 3M.com/ortho. 3Shape is changing dentistry together with dental professionals across the world by developing innovations that provide superior dental care for patients. Our portfolio of 3D scanners and CAD/CAM software solutions for the dental industry includes the multiple award-winning 3Shape TRIOS intraoral scanner, the game-changing 3Shape X1 4-in-1 CBCT scanner, and market-leading scanning and software solutions for labs. Two graduate students founded 3Shape in 2000, and today the company’s fast-growing team of employees in 20 offices worldwide is serving customers in over 100 countries. 3Shape’s products and innovations continue to challenge traditional methods, enabling dental professionals to treat people more effectively. The Association of Orthodontists (Singapore) is a professional association of orthodontic practitioners committed to promoting the art and science of orthodontics through continuing education and research, maintaining a high standard of ethics and professional conduct, improving the health of the public by providing quality orthodontic care, and enhancing orthodontic awareness to the public through health education programmes. 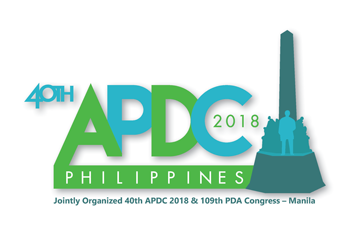 APDC 2018 will be held on 7 – 11 May 2018 at the SMX Convention Center in Manila, the 40th Asia Pacific Dental Congress will be held concurrently with the 109th Philippine Dental Association Annual Convention & Scientific Meeting, making it a not-to-be-missed event for the region’s dental practitioners, researchers and allied health professionals. Astar is one of the most professional ortho manufacturer in China, supplying Brackets, Bands, Tubes, Archwires, etc. Astar create a unique system to design, manufacturing, improve the quality of products all the time, while maintaining a reasonable price. AVM Ortho, Inc. is a company engaged in the importation and distribution of orthodontic products including orthodontic pliers. The company is the exclusive distributor of Ormco Orthodontic Products. Ormco Corporation, a member of the Danaher Corporation, is a U.S.-based company that has not been only into manufacturing but in the research of innovative,quality orthodontic appliances and materials. To keep doctors updated on the latest in the field of Orthodontics, the company always participates in dental conventions nationwide to introduce unique and latest products available to help dental practices improve the patient experience and bolster their marketing efforts. BioMaterials Korea Inc.(BMK) is a manufacturer and supplier of the orthodontic products(MSE, Orthodontic Mini Implant, Accessory, and Instrument) and the maxillofacial(OMF) Surgical products with advanced technologies. Last 15years, BMK has tried to achieve our own goals and we promise to keep working on the making better a bit than the others. For our customers, we strive to make the finest quality, the best design, and the latest technology with exceptional customer services..
DENTAURUM Group has been actively involved on the international market as a full-service supplier in the field of oral regeneration. Founded in Germany in 1886 as a family business, DENTAURUM is a highly experienced manufacturer of dental products. Our name is well known in Orthodontic Clinics and Dental Labs all around the world for quality consumables and units. DKSH is the leading Market Expansion Services Group with a focus on Asia. As the term “Market Expansion Services” suggests, DKSH helps other companies and brands to grow their business in new or existing markets. We are a Swiss company headquartered in Zurich and more than 150 years of company history in Asia. With780 business locations in 36 countries – 750 of them in Asia – and 30,320 specialized staff, it is one of the top 25 Swiss companies. In 2016, DKSH’s net sales reached CHF 10.5billion. We provide our partners with sound expertise and on-the-ground logistics, based on a comprehensive network of unique size and depth. Business activities are organized into four highly specialized Business Units that mirror our fields of expertise: Consumer Goods, Healthcare, Performance Materials and Technology. 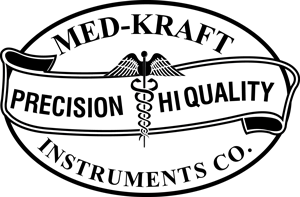 DKSH was founded in 1865. With strong Swiss heritage, the company has a long tradition of doing business in and with Asia and is deeply rooted in communities and businesses across Asia Pacific. 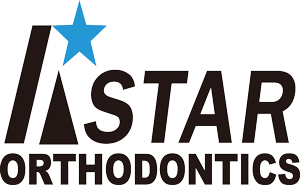 Forestadent has been a world leader in manufacturing high quality orthodontic products for more than 40 years. Modern manufacturing methods, optimised production procedures and a well-developed quality assurance system ensure a level of quality that sets standard. As a result of continuous technical and clinical research, Forestadent products are highly appreciated in the world of orthodontics. The products are exported to over 100 countries worldwide. Forestadent quality gives you a good feeling and reliability in your daily work. Forestadent, German Precision in Orthodontics. For more than 35 years, Henry Schein® Orthodontics™ (HSO) (formerly Ortho Organizers®) has been a leading U.S. manufacturer of orthodontic products for the domestic and international markets. In 2008, HSO became a member of Henry Schein® Dental Specialties Group. HSO provides a vast array of innovative products, services, and educational courses to help build a successful practice. The company’s product offering includes the Carriere® System, Triumph®Orthodontic Instruments, and the Maestro® Bracket System. For more information contact USASales@HenryScheinOrtho.com or visit our website at HenryScheinOrtho.com. HUBIT CO LTD is a leading Korean manufacturer of orthodontic products since 2005. We have offered innovative products to achieve our missions with excellent know-how and accumulated experience with attentive customer service. HUBIT offers a complete line of orthodontic supplies which includes WOW Advanced Active Ceramic Self-ligation, YES Metal Self-ligation, Perfect Clear Sapphire brackets, OK Real Resin bracket, Chois Lingual Bracket, Tubes, Hooks, Orthodontic screws, Coated arch wires, facemasks and other related items. We, at JAGAS MedicaDenta, however, are not allowing ourselves to be deluded by everything we have accomplished. Instead, we are utilizing our success as a challenge of what could still be achieved in the future. More importantly, our triumphs remind us of our beginnings and allow us to stay true to our roots. The achievement of the company is a showcase of the harmonious blending of great ideas and practical application. The record shows the tremendous strides that JAGAS has made as it only looks toward one direction: forward! After almost a decade of existence, JAGAS MedicaDenta Corp. is living up to its global vision. We are now ready to serve clients from around the world. Manufacturers and suppliers of a high quality orthodontic products. MEM is a highly reputed technology manufacturer for the Orthodontic industry founded in 2008. Our vision is to develop and manufacture “world class” orthodontic products and become a leading influence in the orthodontic field. MEM’s high quality standards and expertise combining Metal Injection Molding (MIM), Ceramic Injection Molding (CIM), PIM (Plastic Injection Molding) and micro-molding allows MEM to produce any design-complicated orthodontic device. MEM’s product range includes, Passive Self Ligating brackets, Conventional brackets, Buccal tubes and Archwires. All these products are certified with ISO 13485, CE, GMP, FDA. North American Braces and Aligners offers high quality orthodontic materials including Self Ligating brackets, ceramic brackets,metal brackets, archwires, elastomerics, molar bands, buccal tubes and orthodontic instruments. All our products are the result of meticulous engineering and precision thus delivering excellent and uncompromising outcomes. Our Aligners use the most modern and revolutionary digital orthodontics solutions to give the perfect outcomes. OO Dental, established in 2005, is a high-tech R&D enterprise in orthodontic medical instrument focusing on self-developed innovation, and so far our product has already applied over 40 patents. OO Dental has enhanced academic and technological exchange and cooperation with Zhongshan School of Medicine, SYSU, Wuhan University, South China University of Technology, and Guangdong Academy of Sciences since start-up hiring an expert team orthodontist worldwide to conduct a prospective study of medical instrument. Ormco has a distinguished 50+ year history of providing the orthodontic profession with high quality, innovative products backed by attentive customer service and educational support. Our pledge to you, our valued customers, is to continue to provide you with the products and services that you need and want – products that make the orthodontic experience a great one for you, your staff and your patients. Tomy International is Japan’s No. 1 manufacturer and supplier of orthodontic appliances. We provide complete support to orthodontic practitioners in Japan and throughout the world. The Lab is at the forefront of modern technological advances in the provision of orthodontic services. We proudly offer a full array of orthodontic solutions, from traditional removable appliances to the more involved functional appliance. We will also make a bespoke appliance for an individual need. We keep informed and invest in the latest equipment to ensure our clients have access to the highest quality products through us. Recent additions to our service offerings include 3D imaging and printing, virtual diagnostic set ups and orthodontic scanning. We service clients worldwide from our laboratory based in Dunedin, New Zealand. We, World Bio Tech Co., Ltd. from South Korea have designed and produced, various and advanced dental products with excellent know-how and accumulated experience in the dental materials. We are manufacturing the products by self-developments and selling them as OEM and our brand name “World Bio Tech”. Our main products are Orthodontic Brackets, Wires, Instrument and Strips. We are always considering to meet client’s demands and products quality as the most important thing and continuously trying to develop effective products that would easy to use for dentist and comfort for patients. Ayala Land Sales, Inc. (the Company) was incorporated on March 6, 2002 and is domiciled in the Republic of the Philippines. The Company’s registered address and principal place of business is 18th Floor, Tower One and Exchange Plaza, Ayala Triangle, Ayala Avenue, Makati City. The Company is a wholly owned subsidiary of Ayala Land, Inc. (ALI). ALI’s parent is Ayala Corporation (AC), a publicly-listed company, 52.61% owned by Mermac, Inc., 10.93% owned by Mitsubishi Corporation and the rest by the public.Both ALI and AC were incorporated in the Republic of the Philippines. The Company is primarily involved in the business of selling or marketing real estate products, including, but not limited to, land, buildings, condominium units, townhouses, apartments, house and lot packages and all other forms of real estate products which are owned or developed by ALI and its subsidiaries. An informative journal with a multidisciplinary scope to cover all facets of the profession, Dental Asia shares the continuous progression in the industry through informative, objective features. We are at the forefront of dental media, presenting readers with updated news and product developments from key partners in the industry. Our multiple media platforms serve as our physical and virtual gateways for information dissemination. Our online platforms allow us to extend our reach beyond the APAC region. Furthermore, we have enhanced our digital presence through different social media applications (Facebook and Instagram). As a trusted medium in the dental fraternity, we continue to provide our readers with materials that bind theory with application, products with users, and key opinion leaders with professionals who are on the path of continued learning. Dental Tribune International (DTI), based in Leipzig in Germany, has been in the dental publishing business since 2003. Today, the DTI publishing group is composed of the world’s leading dental trade publishers. The DTI portfolio, which combines print, digital and educational media, currently includes more than 130 print publications and multiple websites that reach more than 650,000 dentists in more than 90 countries and 25 languages. DTI’s activities also include the organization of continuing education programmes, as well as congresses and exhibitions.